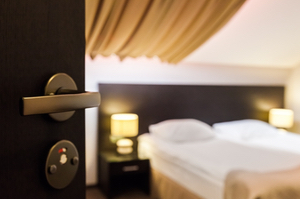 Case Study Archives - HR Ledger, Inc.
HR Ledger helps hotel improve their bottom line with simplified scheduling and more efficient time and attendance tracking. The Bayside Hotel and Resort is a 135-room, 5-story complex which includes a hotel, two restaurants, and a small business center. There is no “typical” day for The Bayside Hotel, and they rely on a diverse workforce to handle a wide range of guest requests at every hour of the day. To keep an otherwise busy operation running smoothly, Bayside faces labor force challenges that range from last-minute sick leave to schedule changes to unexpected overtime. 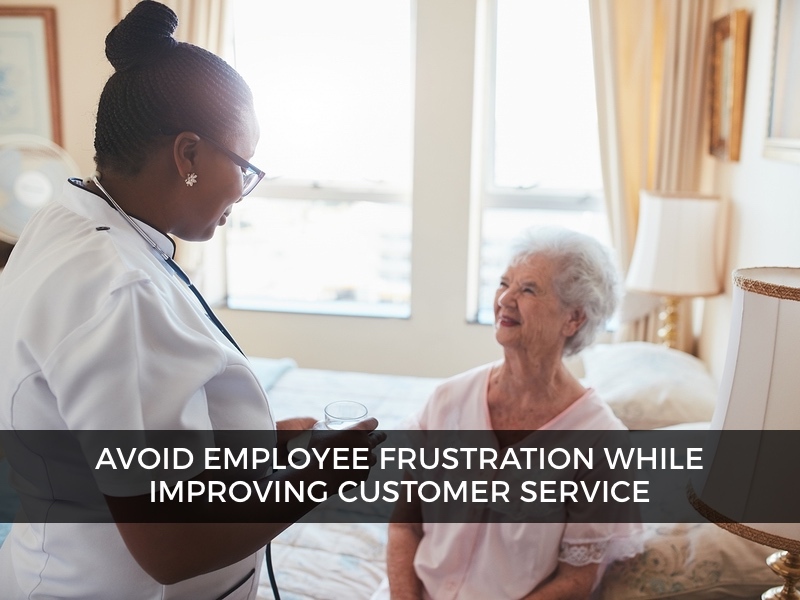 With their reputation resting squarely on their capacity to serve visitors with personal attention, workforce management is a main concern at Bayside. Their ultimate goal; boost customer service without increasing labor costs. The management staff had been struggling to find an employee timekeeping and scheduling system that eliminated understaffing, could be adjusted on the fly, kept all parties informed about scheduling changes, tracked data for DOL compliance, and guaranteed that time cards were submitted on time to the payroll service. For Bayside, this was no easy task with so many diverse departments including hospitality, housekeeping, maintenance, and operations. In every department, supervisors needed accurate data to design scheduling strategies that eliminated waste while maintaining a distinctive standard of service for their visitors. Bayside needed a hotel employee scheduling solution that would meet scheduling goals while delivering greater flexibility for team members and less busy work for supervisors. The WorkforceHUB time tracking tool, TimeWorksPlus, started delivering benefits during the very first pay cycle. With mobile access built in, TimeWorksPlus allows employees to clock in/out on their mobile device wherever they are—whether they work in housekeeping, guest services, security, or maintenance. Because the PunchLogic feature greatly reduces missed and duplicate punches, time card accuracy has improved substantially. TimeSimplicity has significantly upgraded the scheduling process for Bayside managers and employees. It provides supervisors smart tools for manageable, hassle-free scheduling and empowers employees to take over many tasks previously done by managers. Bayside managers are amazed at how effortless it is to create, save, and change recurring schedules. TimeSimplicity for automated scheduling and mobile coordination. TimeWorksPlus for integrated time and attendance tracking. Mobile access offers employee access and management control. Employees and management enjoy the automation and centralization of scheduling operations. Employees post schedule requests to the Virtual Trade Board and view which additional shifts they may pick up. Once a manager has confirmed a schedule change, TimeSimplicity informs the worker; eliminating endless phone calls, texts, and emails. 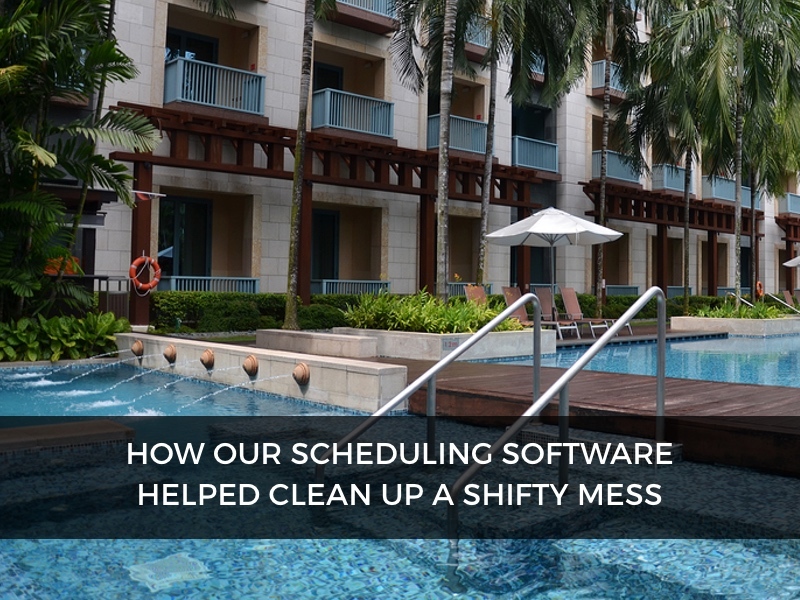 TimeSimplicity has reduced under-staffing which has accelerated room turn-around, shortened front desk guest wait times, and elevated staff efficiency. Employee hours are controlled with customized system notifications and there are nine pay-rate fields and employee groups/sorting/filtering functions to give every department manager scheduling precision. WorkforceHUB is the same system used by Hilton, Embassy Suites, Ramada, Sheraton, Holiday Inn and Marriott to save time, minimize labor costs, and maintain regulatory compliance. HR Ledger offers WorkforceHUB, the unified Human Resources portal that makes it easy to optimize the performance of your managers, employees, and company. WorkforceHUB includes TimeWorksPlus, TimeSimplicity, and TimeWorks Mobile. We’ve just added onboarding, benefits enrollment, performance reviews, and employee engagement! WorkforceHUB is established for busy employers like you who need to streamline scheduling, automate time and attendance tracking, maintain regulatory compliance, and decrease labor costs. How much can you save? Check our HR Ledger ROI Calculator. We can get you up and running with WorkforceHUB in minutes. Contact us today to schedule a demo. HR Ledger helps assisted living facility do away with scheduling conflicts, cover gaps, and boost quality while raising employee morale. 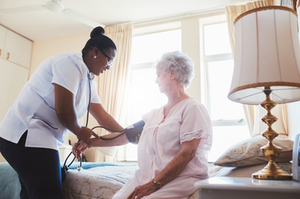 Suncrest Assisted Living management was worrying about maintaining quality resident care because they had to respond to a continual cascade of scheduling changes. Every schedule change generated a stream of unproductive emails, texts, and phone calls that wasted time, confused associates, and hampered productivity for days at a time. Suncrest Assisted Living has a staff of 23 including on-site nurses and caretakers, aides, administrative staff, and housekeeping workers. A small on-site labor force means schedules aren’t very flexible and have little room to absorb change, which happens repeatedly. Unplanned schedule changes resulted in a time-consuming process of sending emails and texts to all qualified employees to find a replacement. Managers were often required to coordinate fractional shift changes to accommodate overlapping availabilities. The result was a domino effect that frequently caused unforeseen consequences including costly overtime and coverage gaps. The extra burden, added confusion, and personal disruption was taking a toll. Searching for a solution, Suncrest turned to WorkforceHUB. WorkforceHUB delivers simplified scheduling with TimeSimplicity in a powerful suite of integrated cloud-based tools that include time and attendance tracking (TimeWorksPlus), with mobile functionality for 24/7 anywhere access. • TimeSimplicity for expedited assisted living staff scheduling and mobile coordination. • TimeWorksPlus for integrated time and attendance tracking. • Mobile access delivers employee access and management control. Suncrest needed a straightforward solution that supervisors and other staff members could use without the need for a lot of additional training. TimeSimplicity provided exactly that, with the additional power of drag-and-drop scheduling, easy schedule change management, and employee self-help tools that enable associates to solve scheduling dilemmas with ease. With WorkforceHUB, Suncrest was able to set up their scheduling in about fifteen minutes by logging each employee name, job code, and availability. Once that was done, designing worker schedules became an easy matter of drag-and-drop. Scheduling conflicts, unplanned overtime, and adequate shift coverage are no longer a headache with built-in notifications that warn managers before a problem takes place. When it comes to finding help due to schedule changes, the Suncrest team no longer goes into panic mode; staff members can enter their availability to pick up hours, and switching shifts between team members is as easy as trading cards. Managers only need to authorize swaps for stress-free schedule modifications. One of the most popular features for Suncrest is the ability to empower team members with mobile access. With the Employee Self Service (ESS) portal, staff members are able to view their schedule, request time off, check accruals, and review their time cards. They no longer need to call a manager for basic information and time card accuracy has improved significantly. This is a perfect solution for a community of staff members working all hours of the day and a real timesaver for supervisors. All long-term care facilities are now subject to the Payroll Based Journaling (PBJ) standards. Employers are required to track daily employee shift hours by job description and site as well as staff tenure and turnover. Suncrest uses the built-in Payroll Based Journaling (PBJ) tools in WorkforceHUB to easily track the data and prepare accurate reports. Suncrest supervisors are sleeping better at night knowing that PBJ compliance is automated with HR Ledger WorkforceHUB. Managers using WorkforceHUB for scheduling will tell you that the savings in time alone makes the upgrade worth it. Furthermore, Suncrest Assisted Living will go one further and tell you that worker empowerment and the end of panicked scheduling emergencies have gone a long way toward increasing employee morale. Contented employees results in better care for residents, increased productivity, and a healthier bottom line. HR Ledger offers WorkforceHUB, the unified Human Resources portal that makes it easy to optimize the performance of your managers, employees, and organization. WorkforceHUB includes TimeWorksPlus, TimeSimplicity, and TimeWorks Mobile. We’ve just added onboarding, benefits enrollment, performance reviews, and employee engagement! WorkforceHUB is designed for busy employers like you who need to streamline scheduling, automate time and attendance tracking, maintain regulatory compliance, and reduce labor costs. We can get you up and running with WorkforceHUB in minutes. Contact us today to set up a demo. HR Ledger helps sportings goods company save with time and attendance compliance, dramatically simplified scheduling, and mobile management. Northwest Outfitters is a small retail chain tackling the obstacles of selling in the competitive outdoor sports industry. Managing a specialized workforce across 5 locations became their focus as an opportunity to substantially reduce costs and gain a competitive advantage. 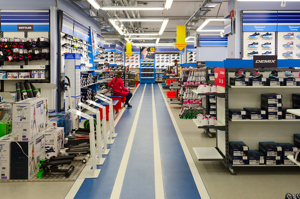 Workforce Management is a key sore spot for retail businesses with multiple departments. Northwest Outfitters’ primary challenge is keeping unique departments staffed with the right people while reducing costs with viable cross-department coverage. They also wanted to address one of their largest budget problems; unplanned overtime. Except for a small team of supervisors, all sales associates are part time. When there is a staffing crunch, it can be nearly impossible to keep part-timers from working forty hours or more. Holiday breaks and year-end staffing has been slinging scheduling complications and compliance pressure with the burden of tracking and reporting. With TimeSimplicity, the scheduling solution in WorkforceHUB, department managers established standard schedule templates for busy and slow sales periods, which vary from department to department. With the standard schedule in place, managers can drag and drop to react to changing conditions. This has been an essential time saver for managers, and with pre-defined alerts, has provided a meaningful decline in unexpected overtime. TimeSimplicity for streamlined scheduling and mobile coordination. Mobile access provides employee access and management control. Before WorkforceHUB implementation, employees continually contacted supervisors about shift adjustments, time card mistakes, and PTO accruals. With Employee Self Service (ESS), employees clock in/out from their mobile device, handle their own time cards, submit time off requests, and monitor accruals without having to contact a manager. With the intuitiveness of PunchLogic, time card foul-ups are no longer a substantial problem. When associates handle shift changes, all supervisors have to do is confirm them on the Virtual Trade Board. TimeSimplicity even informs the employees affected when a shift change is approved! With job codes and employee groups, staff members with the appropriate skills are scheduled in the corresponding departments. This helps maintain first-rate customer service for which Northwest is known. With customized overtime alerts, managers are notified when part-time employees are approaching full-time hours, and full-timers are approaching overtime. They don’t need to be consistently monitoring time cards to keep employees working within the authorized hours. In the case of a DOL audit, reports can be produced instantly from attendance data that was automatically captured and recorded. 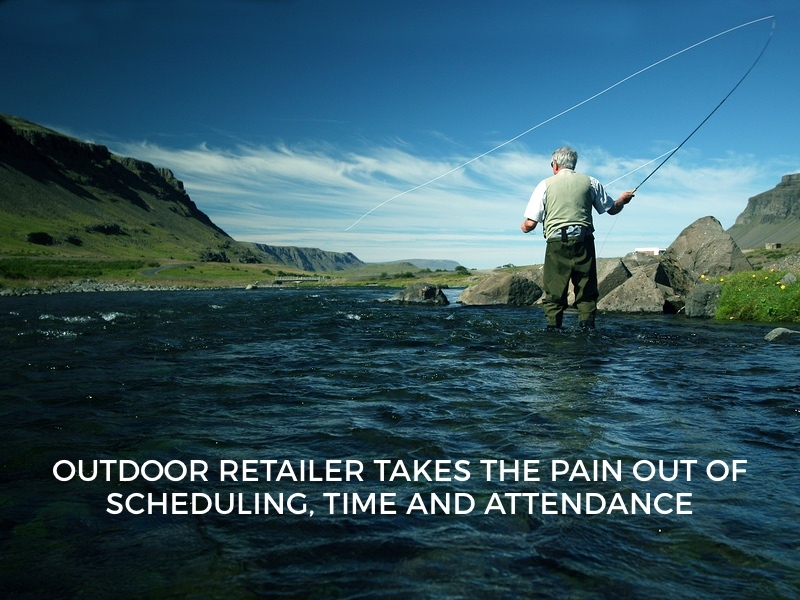 Northwest Outfitters is benefitting from reduced labor expenses, improved scheduling, automated compliance tools, and associates who are much happier with their jobs. HR Ledger offers WorkforceHUB, the unified Human Resources portal that makes it easy to optimize the performance of your supervisors, employees, and company. WorkforceHUB includes TimeWorksPlus, TimeSimplicity, and TimeWorks Mobile. We’ve just added onboarding, benefits enrollment, performance reviews, and employee engagement! WorkforceHUB is developed for busy employers like you who need to streamline scheduling, automate time and attendance tracking, maintain regulatory compliance, and decrease labor costs. HR Ledger helps restaurant transform schedule management, limit expenses, and maintain a loyal staff. Coat and Thai is a tony Thai restaurant whose owners are planning to open a second location with hopes of franchising in the future. It copes with the complications common to the restaurant industry; service peaks, specialized staff, and high employee turnover. 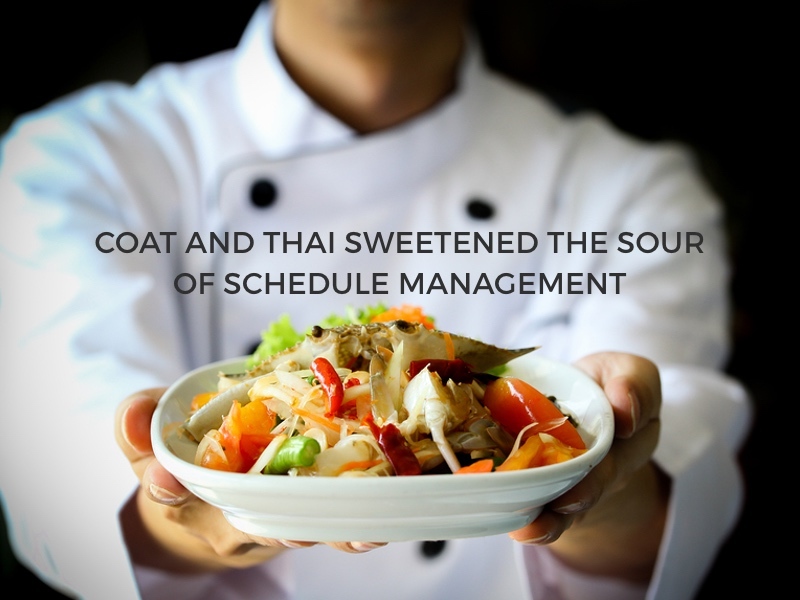 Coat and Thai’s sole manager was the only one doing the hiring, scheduling, and time tracking, creating a bottleneck that soon became an unmanageable burden. She was handling employee time, attendance, and scheduling with a 90’s era punch clock, Excel spreadsheets, and a small dry erase board hung in the kitchen. The establishment has team members working from 5:00 a.m. until 2:00 a.m., seven days a week, compounding the logistics of scheduling. Additional obstacles included maintaining adequate staffing for every shift, adapting schedules to sudden surges in business, managing schedule requests, tracking worker meal breaks, and keeping skilled chefs and experienced servers from jumping ship to newer restaurants opening in the neighborhood; a sour prospect for any organization. Coat and Thai concluded that the first order of business was automating employee time and attendance. TimeWorksPlus allows employees to clock in/out from their mobile devices, eliminating the need to swamp the kitchen during critical shift changes, and allowing employees to move in and out of shifts with increased efficiency. 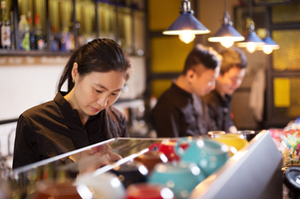 Diners are appreciating better service, and Coat and Thai has eliminated costly guesswork and back-dating when congestion forced team members to skip clocking in. Mobile clock also permits their head chef to clock in off site when buying produce at local farmer’s markets, saving time and reducing time card errors, something both management and employees appreciate. Coat and Thai has seen a decrease in labor costs as a result of incorporating integrated clock in/out features for unpaid meal times and breaks. Before WorkforceHUB, staff members often punched out for a meal and forgot to punch back in, creating problematic back-filling and costly guesswork. With WorkforceHUB PunchLogic, busy employees are only given logical options when accessing the clock in system to lessen mistakes, compile better records, and streamline payroll. Filling holes in the schedule has become much simpler with the TimeSimplicity Virtual Trade Board. Previously, the supervisor would sling change requests to the staff, and then re-circulate when options were proposed. Now, employees simply post requests on the Virtual Trade Board. Managers can rapidly view, monitor and authorize shift request changes online. Once a shift trade is authorized, TimeSimplicity automatically informs the appropriate staff members. Since the system implementation, the restaurant has rarely been caught shorthanded. Job codes and pre-set requirements make scheduling simple so classifications such as the age requirement to serve alcohol don’t get overlooked during shift swaps or replacements. TimeSimplicity for automated restaurant scheduling and mobile coordination. The team members love the Virtual Trade Board because it has significantly reduced the time it takes to manage work schedules and submit time cards. Many employees are college students whose schedules change each semester. Adapting schedules to better deliver staff flexibility has significantly improved staff member morale and minimized turnover. The owners of Coat and Thai are better prepared for planned expansion into new venues and franchising. With a handle on the complexities of crew scheduling, and seamless integration with payroll, owners and management can now focus on service and growth. Custom templates make schedule replication quick and easy, and centralized reporting permits the business to monitor and adjust to changes while minimizing pricey overtime, scheduling conflicts, and peak service emergencies. Most importantly; employees are excited to participate in the growth of the company and share their enthusiasm with their increasingly satisfied patrons. WorkforceHUB includes TimeWorksPlus, TimeSimplicity, and TimeWorks Mobile. We’ve just added onboarding, benefits enrollment, performance reviews, and employee engagement! WorkforceHUB is created for busy employers like you who need to streamline scheduling, automate time and attendance tracking, maintain regulatory compliance, and reduce labor costs.